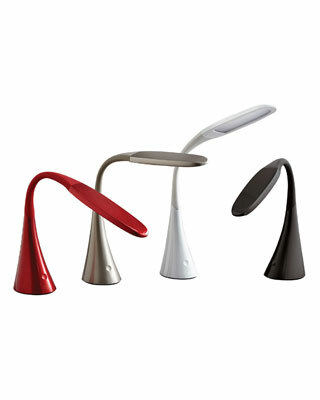 The Safco Vivo LED Desk Lamp brings elegance and adds personality to any work are. This flicker-free LED desk light delivers long-life through energy-saving LED lighting. A touch dimmer switch gives you the control to smoothly adjust the brightness, and the memory button recalls your last setting. The Vivo's flexible neck allows users to easily adjust the light in various directions, including at an angle. Reduced glare filters present you with a more natural and bright work surface. The Vivo is free of lead, mercury and UV rays with zero pollution. Light the way to a brighter workday. Available in four colors.